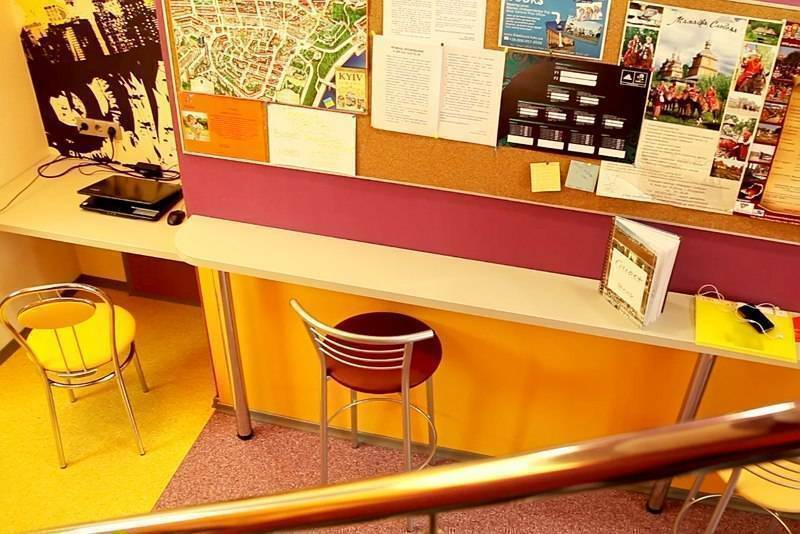 Excellently located in the heart of the city near Olympic Stadium, main street Kreshatyk and metro station Lva Tolstogo international ZigZag hostel provides you with the perfect base for sightseeing by day and partying by night. All of Kiev's major hot spots are easily accessible on foot thus saving you the cab fare back home. Bored? The Hostel provides a number of activities, excursions, free walking tours and cultural events for every day! FREE Wi-Fi connection and guest computers are set in the hostel. We also provide you with a fully equipped kitchen. It is not just a bed to sleep. Care about Cleanliness? We appreciate the importance of clean facilities therefore we'll be cleaning all day long, making sure everything is spotless. We also DO! Our facilities include 6 bathrooms and 6 toilets, hot showers 24 hours a day and laundry service. Managed by a young and energetic team, we make sure that you will feel safe and welcome here providing you with plenty of information about the city and how to get around, ensuring you are able to make the most of your stay in Kiev. Enjoy an intimate atmosphere for young travelers, hopefully making you feel comfortable like at Home. There are 2 dorm rooms for 8, two for 10 persons and one for 6 people in the hostel. Room area is about 20 and 27 sq. m. respectively. Iron bunk beds. Sleeping place is 80cm X 190cm. New blankets and orthopedic mattresses. Air conditioning, lockers, tables, chairs and individual lights. Free WIFI. 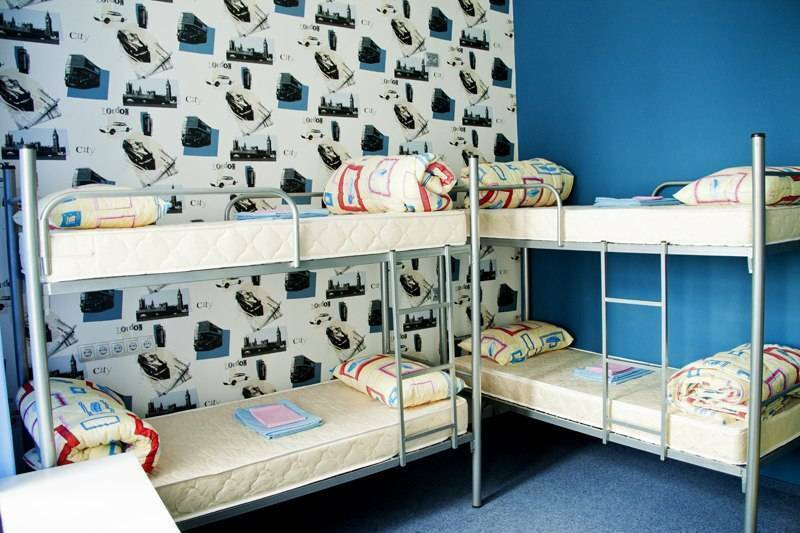 There are two 4-bed mixed dorms and one private quad room with bunk beds. We have got female 6-beds and 4-beds dorms. We have got one male 4-beds dorm. 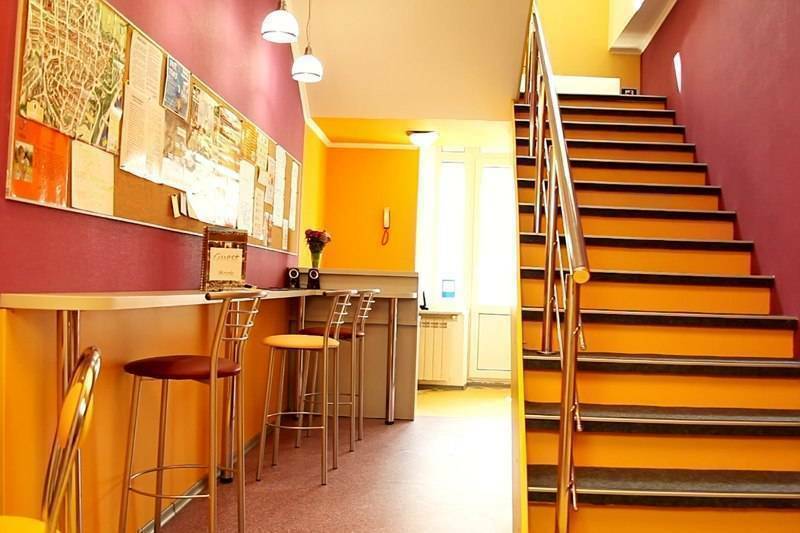 ZigZag Hostel is located on boulevard part of street, near Olympic Stadium, main street “Kreshatyk”. We are 5-10 min walk from 4 central subway stations (Lev Tolstoy Square, Palace of Sport, Olympic Stadium, University). This international hostel provides you with the perfect base for sight-seeing by day and partying by night. All of Kiev's major hot spots are easily accessible on foot thus saving you the cab fare back home. More: in 3min-walking area around us you can find: supermarkets, pharmacy, banks, popular Ukrainian restaurants where you can have traditional ukrainian lunch or dinner for only 3-4 EUR, patisserie, pizzeria, beauty salons, several coffee-shops, plenty of cozy cafes, beer pubs, restaurants and even more. •	In case of the cancellation up to 3 days before the day of arrival there is no fee. •	If cancellation is later this period there is a fee that equal to one night rate and in case of no show - 100% of the entire stay. •	Our cancellation policy for groups (5 and more people) demands 7 days advance notice, charging 50% of the entire stay in case of later notice and 100% in case of no show. In 3min-walking area: supermarkets, pharmacies, banks, popular Ukrainian restaurants where you can have traditional Ukrainian lunch or dinner for only 3-4 EUR, pizzerias, several coffee-shops, plenty of cozy cafes, beer pubs, restaurants and even more. We can arrange a taxi to meet you at the airport. The price of our taxi is 22 Euro/car. You may pay in the hostel by arrival. The driver will meet you with the board 'ZigZag Hostel' near arrival gates. However, you can get a taxi at the airport directly at 18-20 EUR but we don't take the responsibility for the airport taxis! In front of the airport you can find the bus №322 Sky Bus, shuttle service at affordable price (it goes from Boryspil Airport to the Central Railway Station (ВОКЗАЛ - Volkzal)). Those buses leave every 10-15 minutes and cost around 30 UAH (about 3 euros). The Vokzal'na metro station is 100 meters to the left from the train station main entrance. Walk in there, buy a token per person, go down the escalator and take the right-hand train direction. Go to the Khreschatik station. Once on the Khreschatik station, change the blue line to the Maidan Nezalezhnosti station and take a train to L'va Tolstogo station (1stop). Exiting the station go a bit straight and after 10 meters turn right again to exit the underpass (to the left of you there would be the flower shop and on the right – shop selling mobile phones). Now you are on L'va Tolstogo Str. You need to walk up the street 200 meters (pass Watsons shop) and on the first corner turn left (before the big crossroad). ZigZag Hostel's entrance is just in 100 meters. You will see our small sign there (next to the Gorkiy Pub). 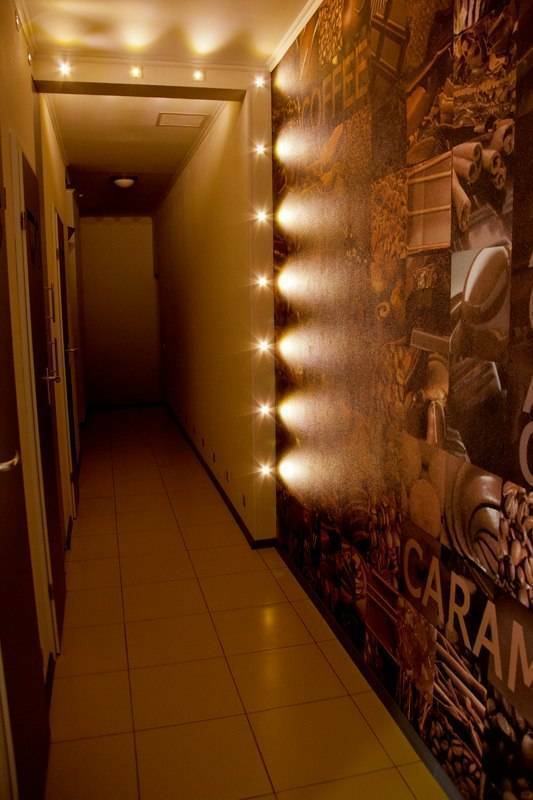 IMPORTANT: we are located in the building №3-A on the main street next to the "Gorkiy Pub" sign, on the 6th floor. Code on the front door is 18.